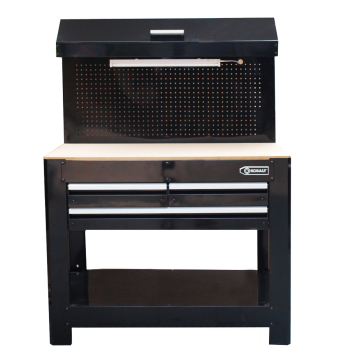 Manual for the Kobalt model 3DPCWB2013 (Item# 0484712) 36" 3-Drawer Wood Workbench. Includes assembly, maintenance and safety instructions with parts diagram and parts list. 15 pages.